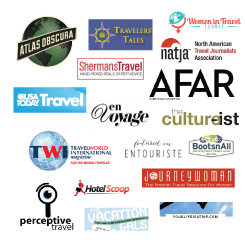 Come Join Us for the Women in Travel Summit! What could possibly be better than spending a weekend in a gorgeous city with 300 smart, influential, incredible women? (I’ll wait while you think about it). Probably not much. So, then, I’m super excited–and humbled, and nervous, and all the good stuff that comes with the anticipation of an upcoming trip–to announce that I’ve been invited to do a nonfiction writing workshop at the second annual Women in Travel Summit this year! The Traveler: How to travel on a budget, finding a job abroad, traveling solo, choosing ethical travel solutions. The Blogger: How to maximize your SEO, basic HTML coding, travel vlogging, using social media. The Entrepreneur: Building your personal brand, creating a following, working with travel companies. This year, I’m presenting in the Blogger track. And my topic? Here’s a hint: it’s one of my FAVORITE topics to discuss with my writing students (And one they usually try to avoid at all costs). Revision! In my session, I’m hoping to reintroduce and help writers rediscover the art of revision, an often overlooked but integral part of the blogging process. I’m envisioning it more as a round-table than a presentation, per se, because what I’m hoping to do is model it after the creative writing workshops I did in my MFA. No one sits at the head of the table, no one takes control of the conversation, and everyone gets a chance to speak. Blending my academic experience with my love for sharing travel stories…I honestly don’t think there could be anything better than this. Plus, and here’s the more important thing, the voices of women, minorities, and people of color haven’t always been represented very well in the travel industry, and it’s places like these where I believe real change and an embracing of other perspectives and ways of knowing can start to happen. For instance: Think of three famous travel writers (except maybe Elizabeth Gilbert, who always seems to come to mind because of her 2006 travel memoir Eat, Pray, Love). So other than that, are any of them women? People of color? People who aren’t of privilege? Or just people who aren’t concerned with conquering other people and places? Digital media–and blogging in particular–has a unique opportunity here, then, to change the way people see the art and act of travel. Here’s hoping the second annual WITS can spark the fire. The summit will be held on March 27-29, 2014 in Boston, Massachusetts at the Revere Hotel Boston Common. Tix (which you can buy here) are $159 for bloggers/writers and $199 for general admission. Oh! And every attendee gets one of these beauties, too. I’d love to see you there–and maybe even do a little writing while we’re at it!